Users who have previously visited gocct.com (or cct.co.uk) will notice a dramatic change to our website. In the last few months we have been busy laying the ground work to launch our new site and we hope you think those efforts were worthwhile! 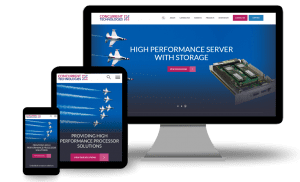 We have now launched our fully responsive website which is accessible and usable on a desktop, mobile and tablet device. Our old site would not work on anything other than a desktop so this is a huge step forward for the functionality of our site. All of the features and style of our new site has been designed and enhanced with the user in mind. A fully optimised search function makes product searching a whole lot easier. And it’s not just products that are searchable – you can also search for career opportunities and any piece of content that we have published! Our previous site was focused around our products. While that is still the case, we have added the option for a potential customer to source products based on their application requirements. By adding a strong application focus throughout our site, it helps visitors to know what sort of product would best suit their requirement. Whilst we are very pleased with our site so far, there are plenty of enhancements and refinements that we will look to add over the coming months. So keep an eye out for how we evolve gocct.com!